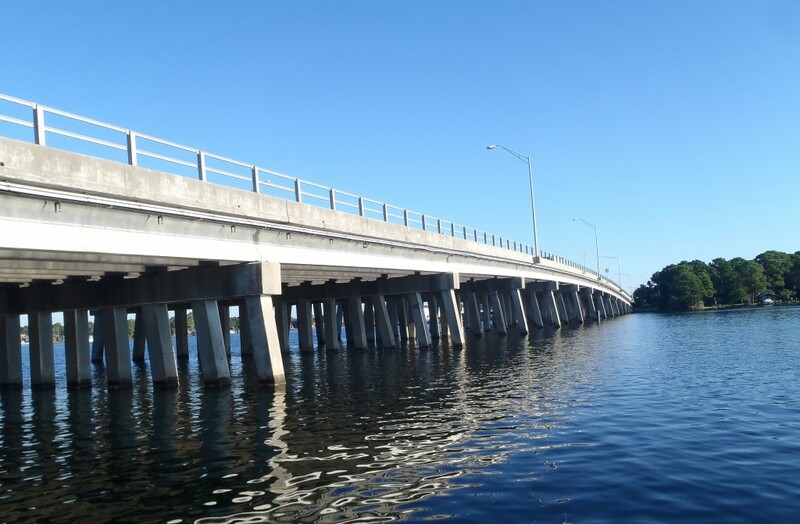 This design-build project involves the rehabilitation of two bridges in Okaloosa County—SR 85 over Five Mile Bayou (1,056 feet, 16 spans) and SR 85 over Garniers Bayou (1,452 feet, 22 spans). The Superior Construction/KCA Team will replace all of the existing bearings, which will require the superstructure to be jacked vertically temporarily. The concrete spalls at the beam end bearing areas and substructures bearing areas will also be repaired. Patched concrete spalls at specific spall deficiencies will require Carbon Fiber Reinforced Polymer (CFRP) wraps. In addition to the bearing work, the SR 85 over Five Mile Bayou Bridge will require structural pile jackets be installed on two piles.